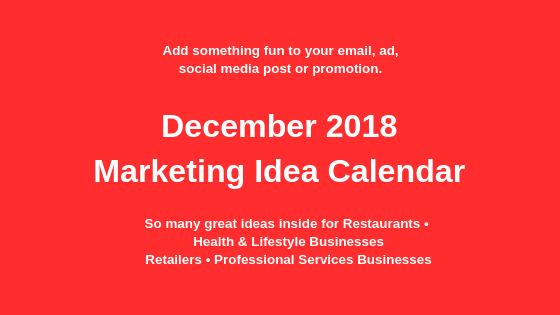 Welcome to your Monthly Marketing Ideas Calendar is for December, 2018. Add some fun, or support a cause by utilizing this monthly treasure chest of ideas to tie into your emails, social media posts, print ads, and in-house promotions. Subscribe to get this valuable marketing resource in your email every month! CLICK HERE.